We welcome our International Students into the Heritage family. Our desire is that they become an active part in school activities while taking a rigorous college preparatory program. Heritage offers a safe community where a Biblical worldview is the foundation of the school culture, philosophy, and mission. Students will live with Christian host families, will learn about our faith, attend weekly chapel services in school, and attend church with their host family. We want our International Students to feel they are an important part of the Heritage family- to feel welcomed into a caring and Christ-centered environment. In the classroom setting, students will enjoy the benefit of knowledgeable and caring teachers. We also encourage our students to become part of our athletic, fine art, and extracurricular activities. Arrange a date/time for a Skype/WeChat interview (we will contact you). If accepted, submit all completed documents included in the application packet, including $535 registration/application fee. Upon receiving all required forms and payment, Heritage Academy will issue the student an I-20. After receiving an I-20, the student will need to make arrangements to apply for an F-1 visa. Parents will need to contact an insurance agency to arrange for student health insurance to cover the student while he/she is in the United States. Documentation verifying coverage will need to be provided to Heritage Academy prior to the student’s attending school. * Other recognized English proficiency assessment scores, such as an iTEP SLATE score, may be submitted. In addition to regular academic classes, International Students are required to take an International Seminar which offers support in the acquiring of English language skills, as well as all academic classes. 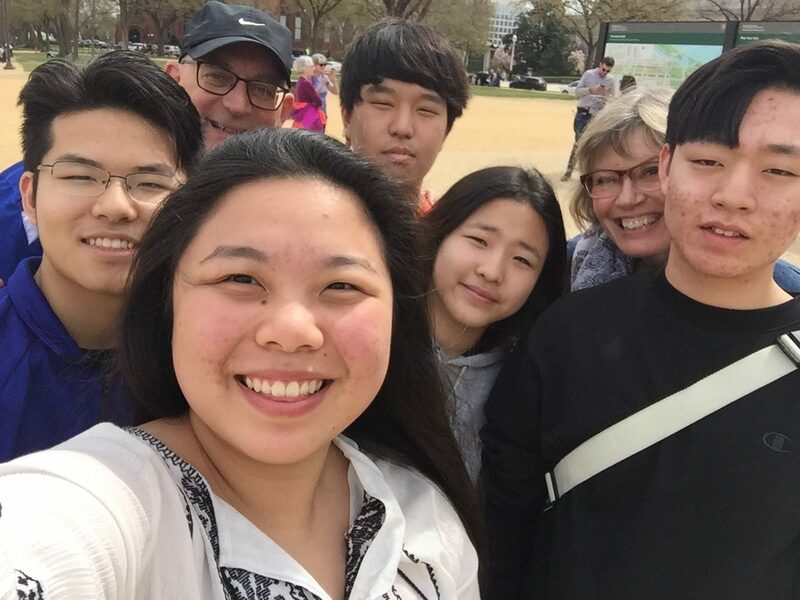 Our international students will be surrounded with God's love, as we place them in home stays with Christian families from our school community. Communication with the students and their host families will take place on a monthly basis to ensure that the living arrangements are going smoothly. Many students choose to return home during Christmas vacation and those arrangements are the responsibility of the natural family. Being a host family brings you as close to being a global missionary as you can be without leaving your home! As a host family, you will be one of the early, friendly faces our international students will meet. Involving your international student in daily life and conversation will help them to develop their English skills and allow them to discover what it is like to be part of an American family. A hosting fee is included in the international tuition. This covers room and board, transportation of the student to an from school, and inclusion of the the student in everyday activities of the family. The student is responsible for long-distance telephone service, internet (other than that provided by the host family), clothing, cosmetics and toiletries, medical care, special foods, tutoring, standardized testing fees, and special travel undertaken with the host family. For more information, contact our International Student Coordinator, Linda Hobbs at [email protected] or by phone at 301-582-2600.